Partick Thistle are adamant they will not face a £1m bill for Souleymane Coulibaly after the striker lost his appeal against a Fifa ruling. Coulibaly, 24, joined Egyptian club Al Ahly from Kilmarnock in January 2017 but walked out after four months. Fifa determined Coulibaly should pay Al Ahly and now the Court of Arbitration for Sport has backed that decision. The Ivorian joined Thistle in October but has made just four appearances as a substitute. And the Scottish Championship club insist that they have assurances from Fifa that they are not responsible for any settlement. 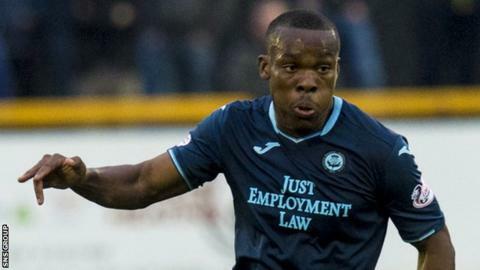 Coulibaly's return to Scotland had initially been blocked by the Egyptian FA but Fifa granted a temporary international transfer certificate following the Scottish FA's request to overrule the refusal.